How Do I Get Rid of My Old Computer Equipment? Do you have an old computer equipment graveyard? I’ve been to many new client’s offices only to be asked, “how do I get rid of all this junk taking up an entire storage room?”. We appear to have a habit of believing that at some point, that old computer, monitor, set of cables or printer may come in handy. And you definitely cannot throw electronics out in the trash. So, we stack them up and close the door. At some point you’re going to need that space and that one or two old computers is now ten and five laptops, eight dead monitors and two printers. You then ask the question, “did we wipe those hard drives? What data is on them?”. You then turn around and close the door only to ponder the question another day, week or month. Well, perhaps today is the finally the day and you do need to get rid of this stuff. Since August 2012, you have been paying electronics recycling fees on computers, laptops, printers, monitors and other devices. These fees fund various electronics recycling and re-purposing initiatives. There are two services that we recommend to our clients. 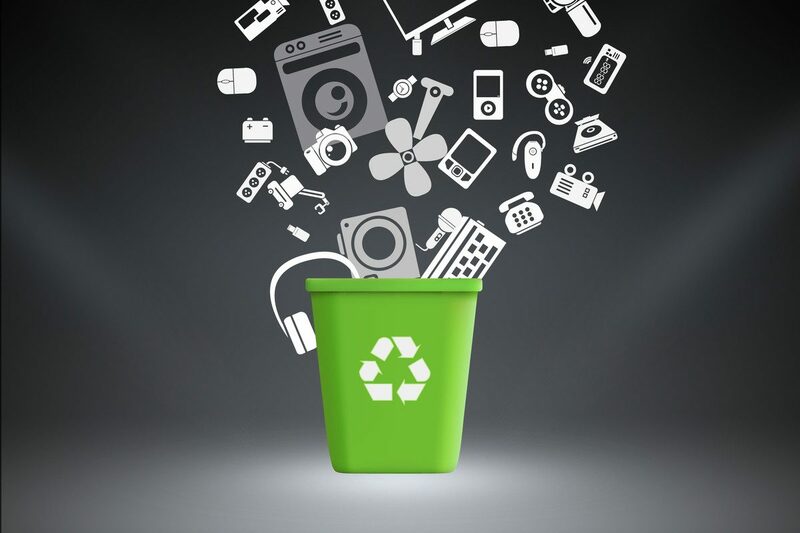 The first is the Electronics Products Recycling Association (EPRA). The EPRA has dozens of drop off collection sites throughout Manitoba. You can obtain full details about electronics recycling at the Manitoba Recycle My Electronics website. While this service offers many convenient drop off locations, you may need additional services such as pickup and possibly wiping of data off hard drives which the EPRA doesn’t offer. If you have not wiped data or physically destroyed your hard drives, we strongly recommend that you make the minimal investment in have a service complete this for you. The second service we recommend, that also provides these additional services, is the Electronics Recycling Association (ERA). ERA can schedule the pickup of your end of life electronics at times that work for you. Additionally, from a data security perspective, they offer a great service called 100% Secure Data Destruction where they literally shred your hard drives or other storage devices. They offer several versions of the service either on-site at your location or back at their facilities. They can also provide you with a Certificate of Destruction for your own piece of mind or to meet the needs of a Board or other regulatory agency who has data security compliance requirements. You can obtain full details about these recycling services at the Electronic Recycling Associations web site. If you don’t have time to manage this process yourself or would simply like some more guidance on what to do with your old electronics, let us know. We can help. Bruce is a 25 year veteran of the IT industry and currently focuses on consulting and account management at Clear Concepts. Clear Concepts is a team of passionate professionals, proud of what we do — we want to make a positive impact on your operation. Let us hear your technology challenges and opportunities so we can help you get the most out of your technology investment, on-premise and in the cloud. Contact us today.